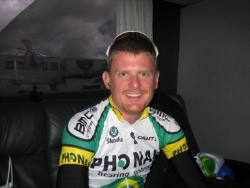 2006 Tour de France winnder, FLoyd Landis, is scheduled to appear on The Tonight Show with Jay Leno on Friday, July 28. It has just been learned that FLoyd Landis has cancelled his scheduled appearance on The Tonight Show. Wind Tunnel Tests Prove That Speedplay Pedals Are Faster!